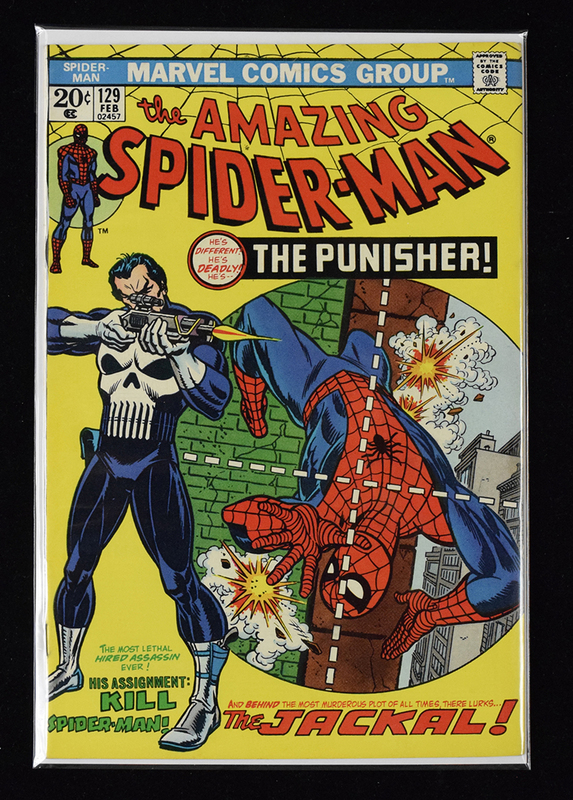 Description: "Amazing Spider-Man" issue #129 - 1st Punisher (Marvel, 1974) (VF) 1st appearance of The Punisher. Key issue that appears unread and remains intact with clean staples. Interior pages are lightly toned. Exhibits very minimal corner wear and displays as NM overall. There is some very light surface indenting near the top that could be pressed out. Great looking issue of a key comic book. Grades VF. This item closed at 12/05/2018 at 10:52 pm. No more bids are being accepted on this item.